Sacroiliac degeneration is a normal part of aging. Most degenerative changes are expected and some might even be considered crucial for proper development of the adult SI joint. However, some degenerative conditions can cause real problems for the joint and the patient who it belongs to. 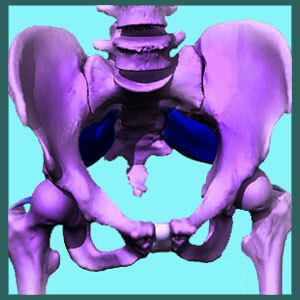 The sacroiliac is a joint that actually changes as a person grows and continues to change throughout life. It is fascinating in this regard. Unfortunately, some in the medical community have demonized completely normal changes to the joint, leading patients on unproductive errands towards finding relief for conditions that are virtually impossible to be the true causes of their pain. In other cases, the deterioration is the actual cause of symptomatic activity, but that still does not make it much easier to treat, at least not conservatively. This vital essay takes a truly unique look at degeneration of the sacroiliac joint. We will define degeneration in a completely new way that might surprise patients and even some doctors, but will certainly provide an objective view of the possible consequences of joint aging, as well. Technically, degeneration means the breakdown or change in an anatomical structure due to age and activity. Body parts are affected by all the wear and tear imposed on them. Some people are more susceptible to certain degenerative changes due to congenital, genetic, activity-related, injury-related or other life-related factors. Additionally, some people are more prone to experience pain from structural changes based on anatomical makeup, neurological health and overall wellness of the mindbody. Traditionally, medicine defines degeneration of the sacroiliac joint as arthritic accumulations of the osteo variety that might cause the joint to suffer organic fusion leading to a lack of typical motion. This condition is not generally thought to be inherently symptomatic, although it has potential to be in some circumstances. Newer medical definitions might also include the breakdown in ligamentous integrity around the SI joint, leading to hypermobility concerns due to many possible circumstances, such as obesity, multiply births or injury. Occasionally, hypomobility might be also included in the list of degenerative soft tissue conditions, but these scenarios are much less often seen and are some of the most debated of causative theories for SI pain. We will define degeneration to include changes in the SI joint that begin in early life. Most people do not realize that the sacroiliac is far more flexible as a child and enjoys a much larger effective range of motion. The actual bony surfaces and the angles at which they meet change as the child grows in order to become more durable and supportive of the larger anatomical mass of the adult body. Some experts believe these structural changes to be the beginning of “degeneration”, which are some of the earliest traces found in the human anatomy. However, in the case of the SI joint, the “degeneration” here is necessarily to make us into strong and capable adults with bodies that can handle the stresses we will subject them to over the next 50 to 70 years. Normal degenerative changes that go beyond joint maturation include the onset of osteoarthritis around the age of 40. Some people might experience arthritic growth earlier, especially if they have suffered a regional injury or have subjected their body to tremendous stress in the SI joint, such as that common to martial artists, gymnasts and yoga practitioners. Some other people might remain arthritis-free until their mid 50s. 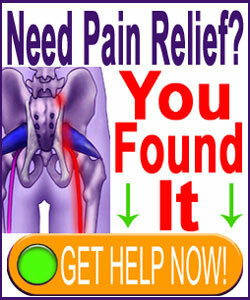 Osteoarthritis in the sacroiliac is normal. The breakdown of protective measures in the SI joint is normal and it is common for the joint to begin to suffer a decreased range of motion, bonding the joint into an effectively fused state. This process is not considered to be generally painful or problematic, but it does dispose the joint towards injury over decades of progression. This is not surprising, since the elderly are prone to all forms of injury due to fragility of many anatomical structures. This is simply an inherent consequence of aging and decreased bone density. It is also normal for the ligaments to lose their ability to properly regulate the joint as people age. If the person is old enough to develop an organic fusion due to arthritic accumulation, then laxity of the ligaments is usually a nonissue. However, people who still demonstrate mobility of the SI might experience varying degrees of symptomology from unstable joints that suffer from insufficient regulation of movement due to soft tissue degeneration. Atypical degeneration is deemed inherently pathological and might consist of truly rare and extreme forms of osteoarthritis or sacroiliitis that have damaged the joint into suffering pain. Rheumatoid arthritis, ankylosing spondylitis, gout, psoriatic arthritis or other disease-related process really do not count as degeneration of the joint specifically, but instead are degenerative diseases that happen to occur in the SI location. Regardless, these conditions are almost universally symptom producers. Extreme soft tissue degeneration of the regulating ligaments can also occur that might create complete instability and disability within the joint. These are degenerative soft tissue pathologies for sure, but generally can be repaired, since they do not actually often change the skeletal frontiers of the joint.